Early on, I was looking for some fun and different ways to use my studio set-up, and my friend Amanda suggested doing some photos of her yoga practice. She ran through a variety of positions as I used a couple of different lighting setups. It was a ton of fun. 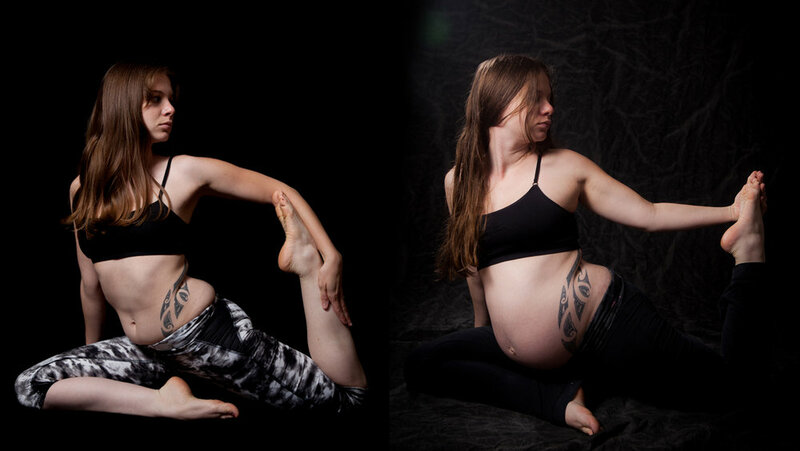 And an extra cool detail - when I did her maternity photos the following year, we made sure she hit a few of the same poses so we could get side by side comparisons.